The 2018 three site exhibition, brings into view the world of African American institutions, teachers, principals, and professionals behind the veil of Jim Crow. 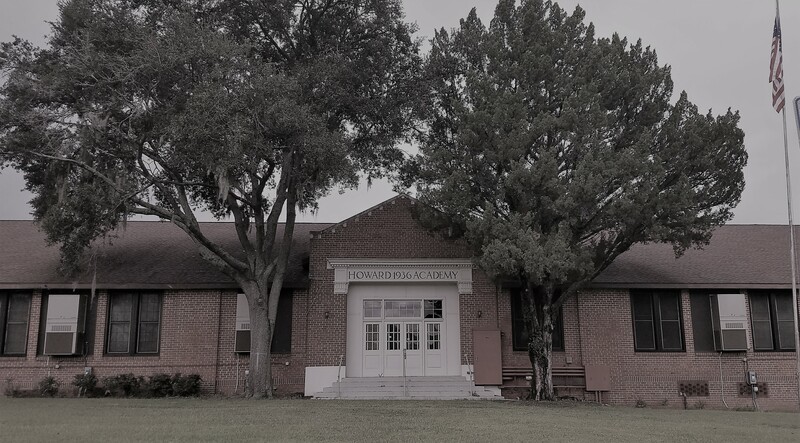 In 1937, concealed in the shelter of the night, five Black men from the Florida State Teachers Association (FSTA) held a secret meeting at Howard Academy in Ocala, Florida. Who were these brave educators who risked so much? John Gilbert, principal of Cocoa Jr. High School, who volunteered as plaintiff for the first teacher salary equalization case in the state of Florida. Gilbert was terminated before the case ever went to trial. Edward Davis, Principal of Howard Academy and President of the FSTA, called the men together. Davis knew that his closest colleagues were ready for action. Gilbert Porter, Principal of Lincoln High School, drove south from Tallahassee. Noah Griffin, Principal of Gibbs High School, drove north from St. Petersburg. John Gilbert, Principal of Cocoa Junior High School, and teacher Harry T. Moore took the trip up the coast from Brevard County. Decades, later, Moore’s murder in 1951 would be memorialized as the first casualty of the civil rights movement. At the meeting on the grounds of Howard Academy, the five leaders devised a plan that Edward Davis would later call Florida’s “program of equalization”. Edward Davis went on, in 1949, to fight what he considered to be his last battle, the integration of The University of Florida in the Virgil Hawkins v. Florida Board of Control case. Serving as Chairman of the informal group that worked with the NAACP-LDF, under the direction of Thurgood Marshall, the Hawkins case took a long nine years to resolve. 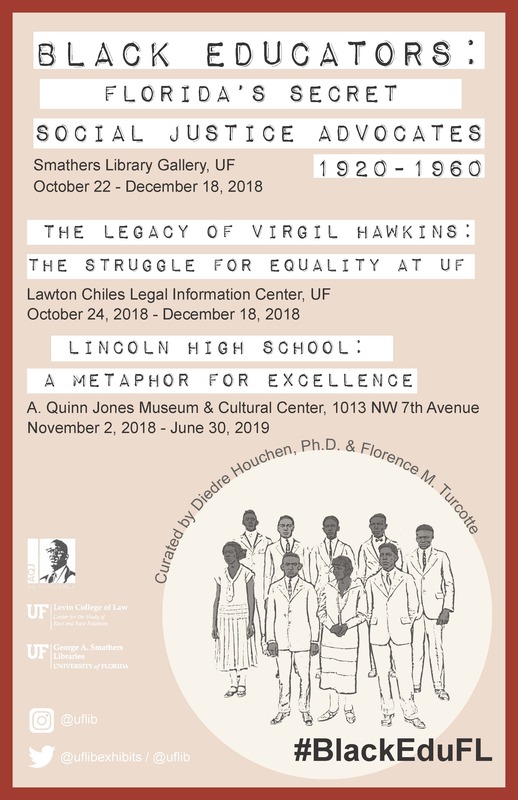 Ultimately, Hawkins never attended the University of Florida Law School, instead choosing to withdraw his application in exchange for a Florida Supreme court order desegregating UF’s graduate and professional schools. In 1958, George Starke was admitted as the University’s first Black student. View other artifacts and the University of Florida’s exhibition website. View the A. Quinn Jones Museum and Cultural Center exhibition website. View the Center for the Study of Race and Race Relations website.